"Dude, where is my pencil?" Daangg! Where is katniss? We know she did this! 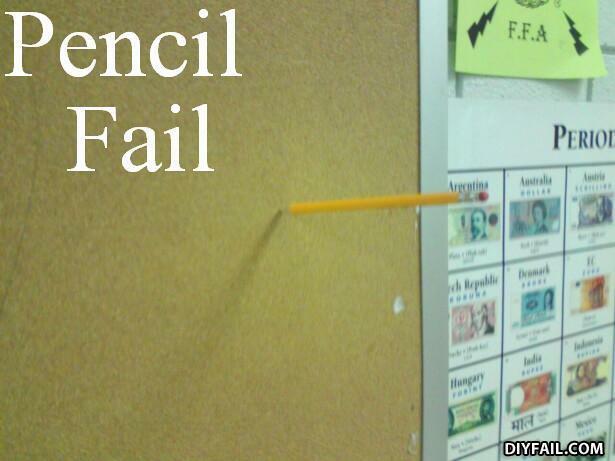 Stupid pencil, get off the wall, you are not Spiderman. You don't even have any legs. the eraser of the pencil was underlining the country " argentina "
Tommy Smith from across the street, i just ran over your dog.